This article focuses on utilizing an income approach to value outpatient enterprises, while subsequent articles in this topic series will address the use of a market approach and an asset/cost approach to value outpatient enterprises. Healthcare related outpatient enterprises are those that provide services which do not require hospital admission and may be performed outside the premises of a hospital. Valuation of healthcare related outpatient enterprises, similar to valuation of any business, should include consideration of the three general approaches to valuation: the income approach, the market approach, and the asset/cost approach. Use of specific methods under each approach will be guided by the facts and circumstances of the engagement (e.g., availability of data, nature of the current transactional marketplace, etc.). 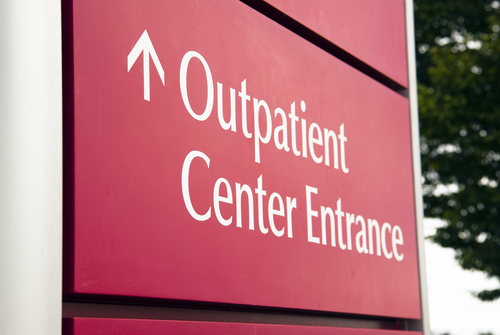 This article focuses on utilizing an income approach to value outpatient enterprises, while subsequent articles in this topic series will address the use of a market approach and an asset/cost approach to value outpatient enterprises. Development of an opinion of value related to a healthcare related outpatient enterprise using an income approach typically involves: (a) forecasting the net economic benefit to be derived from ownership of the subject property interest; (b) determining an appropriate risk adjusted required rate of return for an investment in the subject property interest; and (c) discounting the forecasted net economic benefit stream by the risk adjusted required rate of return to arrive at the present value of the future net economic benefit stream. Two widely utilized income approach based methods for valuing healthcare related outpatient enterprises are: the Discounted Net Cash Flow Method and (only under certain circumstances) the Single-Period Capitalization Method. Scope of Services—The range of different services/procedures offered by an outpatient enterprise can directly contribute to the subsequent net economic benefit stream (e.g., a multi-specialty physician practice may be able to add service lines with minimal marginal cost, as they already have the necessary equipment in-place and personnel being utilized in similar functions). Efficiency of operating expense structure—The magnitude of operating expenses is dependent largely on the type of outpatient enterprise. While higher costs typically indicate lower value, it should be noted that enterprises which utilize more sophisticated technologies may be able to increase market share, and therefore, from a financial economic perspective, the costs of these technologies must be weighed against any future benefits when assessing the value proposition of new technology, and the impact it may have on the value of an enterprise. Stability of the Supply Chain—The valuation analyst must consider the reliability of the supply portion of the value chain, and its relation to the subject enterprise’s projected income. In general, enterprises achieve a significant amount of their bargaining power from their relative size within their market service area, and tend to enjoy negotiating power for a lower per-unit fixed cost (i.e., economies of scale). Market Rivalries and Competitors—The competitive marketplace is a key factor in assessing the level of risk inherent in an investment in the subject property interest. The anticipated hypothetical transaction is conducted in compliance with the Anti-Kickback Statute, which makes it illegal to knowingly pay or receive any remuneration in return for referrals, as well as, other legal and regulatory edicts in the healthcare industry. Discount for Lack of Marketability—Meant to reflect two circumstances that impact the monetization of property: (a) liquidity (or lack thereof) which typically refers to the ability of the seller to convert their investment into cash, with certainty as to the amount and timing of the proceeds, and (b) and level of marketability of a business interest which refers to the relative transactional costs of monetizing an interest in a closely held enterprise, in contrast to the transactional cost of a property interest where there exists a previously established market for the specific business interest being sold (e.g., publicly traded shares that are bought and sold on a stock exchange enjoy a high level of marketability in contrast to shares in the same company that may have certain restraints as to being traded on the exchange). Key Person Discount—An amount that reflects the perceived probability of the risk that some exigency or adverse circumstance could befall the continued participation of a key individual of the subject business and in turn affect the level of economic benefit generated by the enterprise. A discussion on each premium and discount was deemed to be outside of the scope of this article. However, numerous sources are available on premiums and discounts for further reference. The next two installments of this series will address the use of a market approach and an asset/cost approach to value outpatient enterprises, respectively. Todd A. Zigrang, MBA, MHA, FACHE, ASA, is the President of HEALTH CAPITAL CONSULTANTS (HCC), where he focuses on the areas of valuation and financial analysis for hospitals, physician practices, and other healthcare enterprises. Mr. Zigrang is the author of the soon-to-be released “Adviser’s Guide to Healthcare–2nd Edition” [2015-AICPA], numerous chapters in legal treatises and anthologies, and peer-reviewed and industry articles such as: The Accountant’s Business Manual (AICPA); Valuing Professional Practices and Licenses (Aspen Publishers); Valuation Strategies; Business Appraisal Practice; and, NACVA QuickRead. He is a Fellow of the American College of Healthcare Executives (FACHE) and holds the Accredited Senior Appraiser (ASA) designation from the American Society of Appraisers, where he has served as President of the St. Louis Chapter, and is the current Chair of the ASA Healthcare Special Interest Group (HSIG). “Healthcare Valuation: The Financial Appraisal of Enterprises, Assets, and Services,” By Robert James Cimasi, MHA, ASA, FRICS, MCBA, AVA, CM&AA, Hoboken, NJ: John Wiley & Sons, 2014, Vol. II, p. 444-472. See September 2014 HCC Topics article titled “Appropriate Use of Extraordinary Assumptions and Hypothetical Conditions” for further definition of hypothetical conditions. “2014 Capital Markets Report,” By Dr. Craig R. Everett, Pepperdine Private Capital Markets Project, 2014, p. 8. “Criminal Penalties for Acts Involving Federal Health Care Programs,” 42 U.S.C. § 1320a-7b(b). “International Glossary of Business Valuation Terms – NACVA.” http://www.nacva.com/content.asp?contentid=166, (Accessed 10/14/2014). For example, see “Business Valuation Discounts and Premiums: Second Edition” S.P. Pratt, John Wiley & Sons, Inc., (2009); “Discount for Lack of Liquidity: Understanding and Interpreting Option Models” by Ashok Abbott, PhD. Business Valuation Review, Vol. 28, No. 3, Fall 2009; “Valuing a Business The Analysis and Appraisal of Closely-Held Companies” by Shannon Pratt, 5th edition, McGraw-Hill Companies, Inc., New York, NY, 2008; “Quantifying Marketability Discounts” by Chris Mercer, Peabody Publishing, Memphis, TN, (1997); “Do Privately-Held Controlling Interests Sell for Less?”, by John R. Phillips and Neill W. Freeman, Business Valuation Review, September 1995 (Vol. 14, No. 3).